We’ve literally just finished our seventh weekend metal sculpture course and it’s been great fun as usual. The weather was lovely so it was great to be able to sit outside for our tea breaks and dinners. 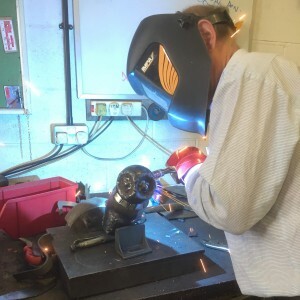 Our students this time had no real welding experience but that didn’t matter because once we’d been through the basics and showed them how to do it they were off. 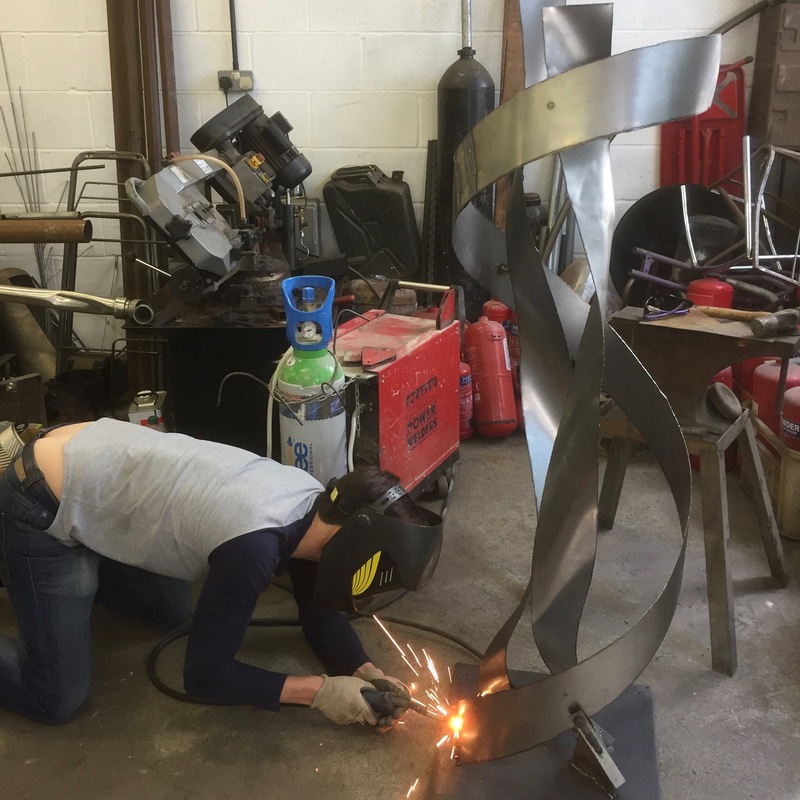 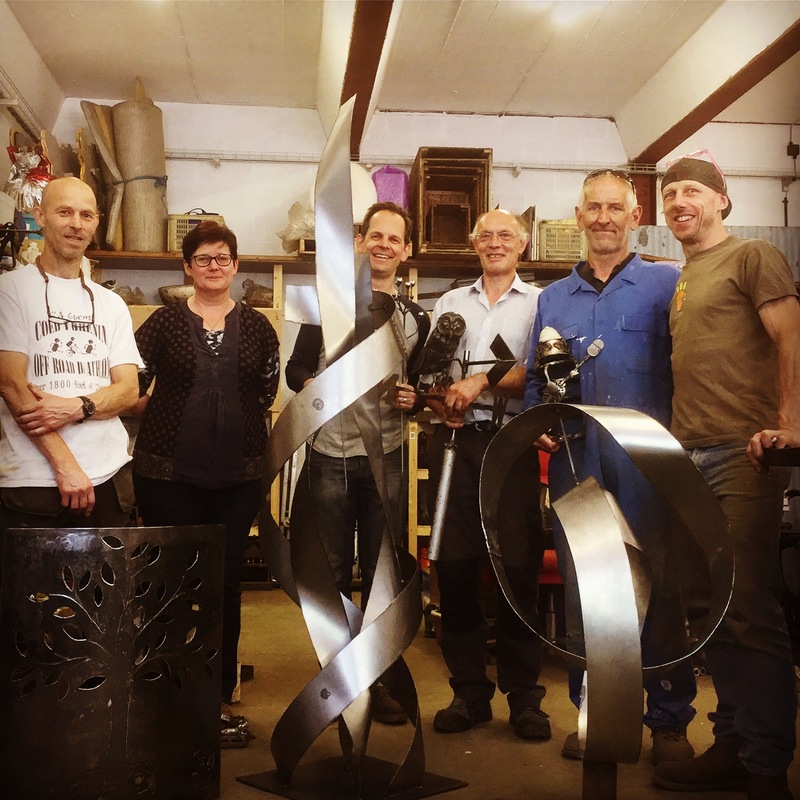 Luckily we’d borrowed a third welder which meant they were able to make two large garden sculptures, an owl weather vane, an intricate fire screen, a junk figure and various plants and flowers between them. 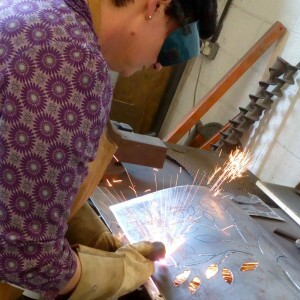 The next date we’ve got available is September 15th / 16th and there’s one place still available on what is so far an all female course. This entry was posted on 15th July 2018 by mick.